16:28 | Cusco (Cusco region), Feb. 1. 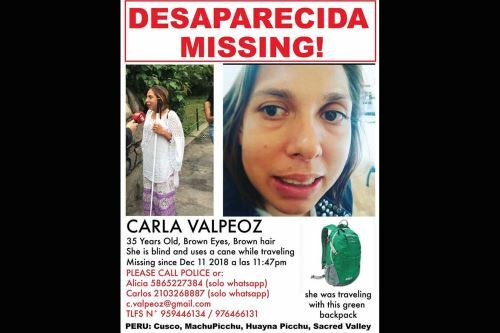 Peru's National Police (PNP) agents —deployed across Calca Province— will mount a new search in the Pisaq archaeological site, where Carla Valpeoz —a 35-year-old missing U.S. traveler— was seen for the last time. According to PNP Colonel Carlos Valer, missing person experts will arrive from Lima in order to assist the search efforts. High Mountain Rescue Unit (USAM) agents and drone operators will join the operation. The official explained the devices have flown over hard-to-access locations within the site, but failed to get in. For that reason, agents will visit the areas in person to find out whether she is there or fell off a cliff. Furthermore, authorities continue the search in the Sacred Valley of the Incas, where Ayahuasca healing sessions are carried out. "There are three hypotheses: the first is that she had an accident, the second one suggests she was kept at an Ayahuasca ritual site, and thirdly, she was taken somewhere else," Valer said. Recently, her father has offered a reward to whoever gives him information about her whereabouts. The sum of money amounts to S/17,000 (about US$5,094). The U.S. national arrived in Cusco in order to visit the Inca citadel of Machu Picchu and climb the Huayna Picchu Summit. It was her friend Alicia Ann Steele, 32, who reported the disappearance. They were both in Lima when Carla left for Cusco on 10 December 2018 to take the Machu Picchu-Huayna Picchu tour. Since then, they kept in touch via WhatsApp until December 12, when her phone ran out of battery, apparently. 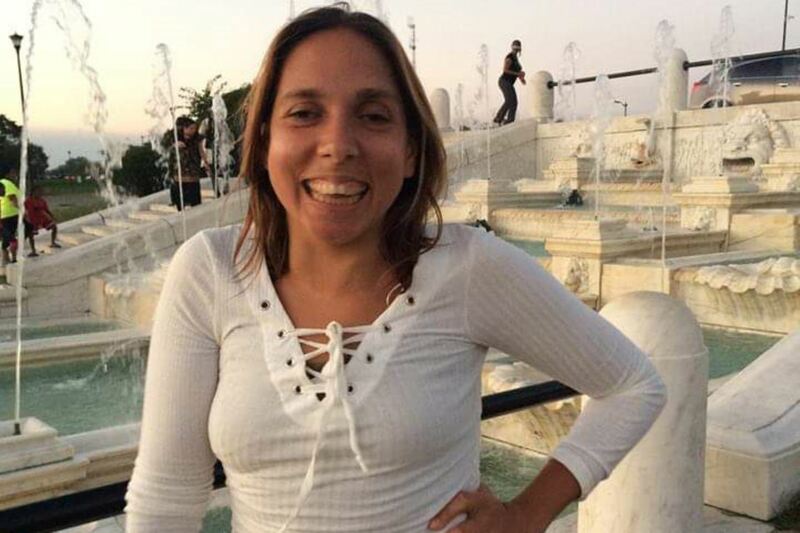 Carla was supposed to fly back to Lima on December 14 at 6:45 PM and start her return home the next day. The U.S citizen is blind and uses a cane while traveling. She is missing and was traveling with her green backpack.